William r. (bill) Probst, P.e. Bill Probst has land development experience spanning a career of more than 55 years. He is a civil engineer from Georgia Tech and a registered professional engineer licensed in Georgia and four other states. Mr. Probst is has also obtained his registered land surveyor designation and is a landscape architect in Georgia. Mr. Probst has developed several mixed use project, an industrial park and strip shopping centers. A career high light among many has been the development of over 25,000 home sites in more than 100 developments. His signature properties carry the name of Smoke Rise and are located throughout the multi-county Atlanta Metropolitan area. Mr. Probst has been a civic and industry leader. 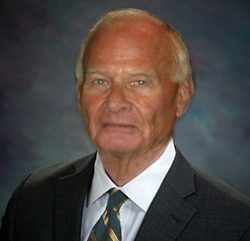 He has been a development spokesman, serving many years as member and President of the DeKalb Developer Association, and was a co-founder of the Georgia Land Developers Association. Bill’s civic activities include member and Vice Chairman of MARTA, vice Chairman of DeKalb County Planning Commission, Chairman of the DeKalb County Board of Appeals,and Board member of the DeKalb County Chamber of Commerce. He is Past President of the Decatur Rotary Club, where he has been a member for over 50 years.